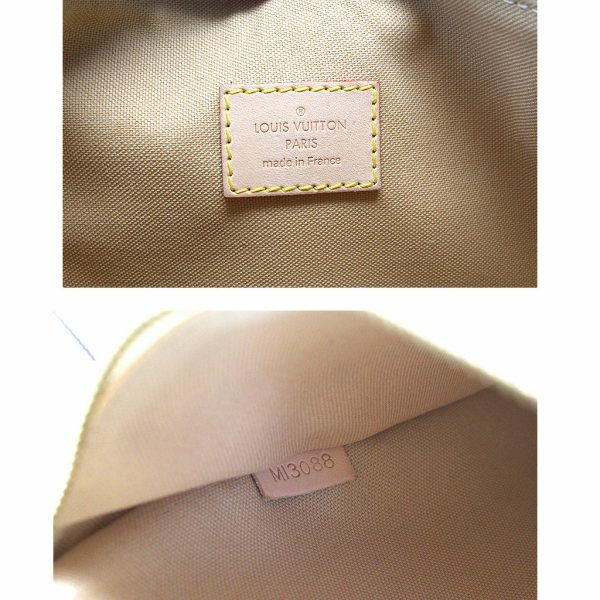 Condition Your favorite every day Louis Vuitton bag is here! 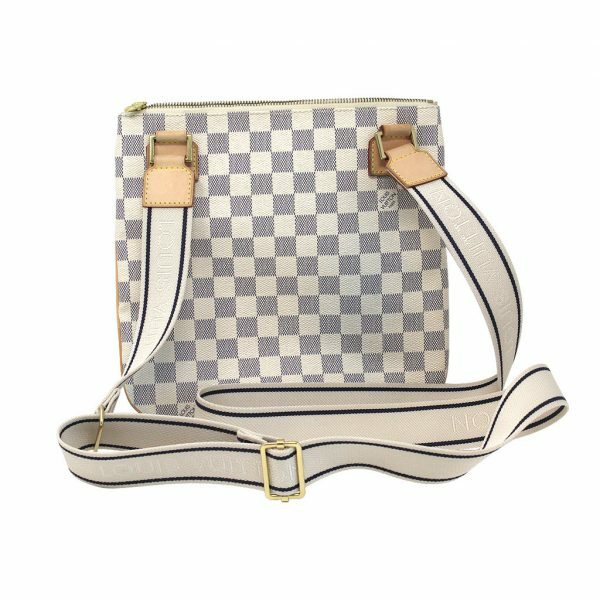 You’re viewing the Louis Vuitton Damier Azur Pochette Bosphore Messenger Bag. This messenger bag has been previously used, kept in good condition and shows some visible signs of wear. 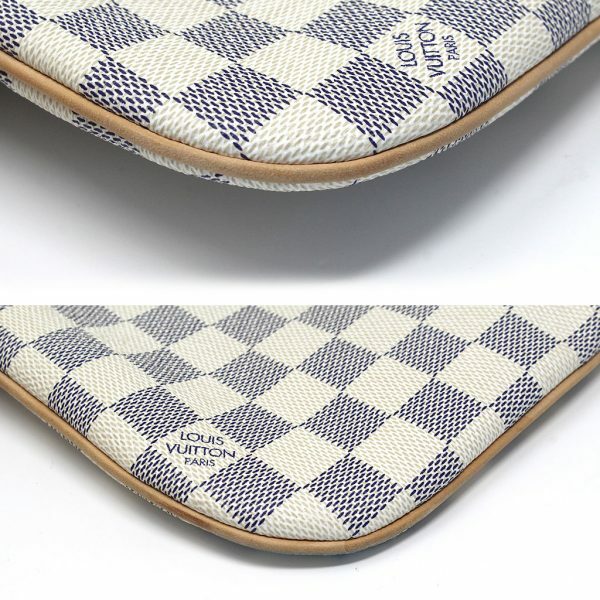 On the Damier Azur canvas exterior you will see areas of blue stains which can be from rubbing against denim. There are no rips or tears on the canvas. 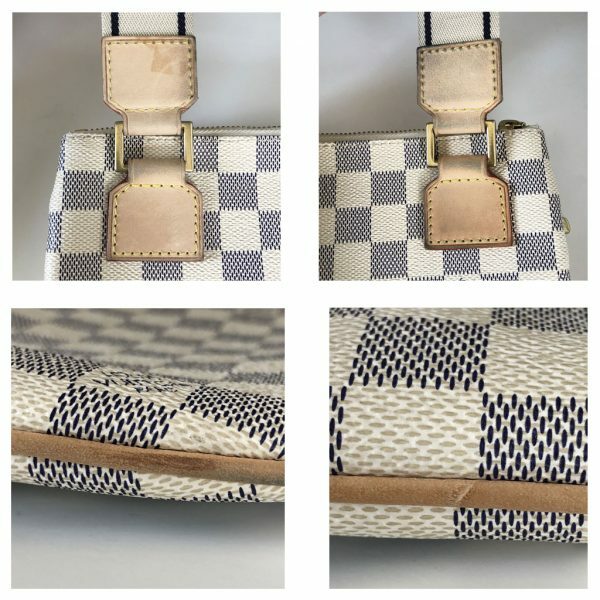 Along the cowhide leather trim and piping you will see visible discoloration, scratches, very faint scuff marks (along the bottom corners) and a scratch on the bottom of the bag. All of these markings can be seen in the pictures listed. 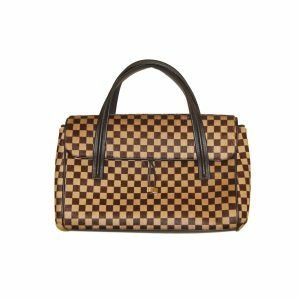 This bag can be worn over the shoulder or cross body. 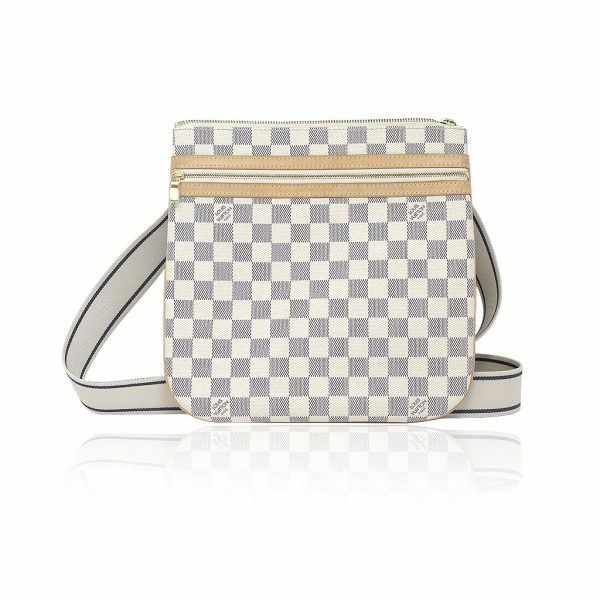 The canvas shoulder strap is 2.5″ wide and is fully adjustable. 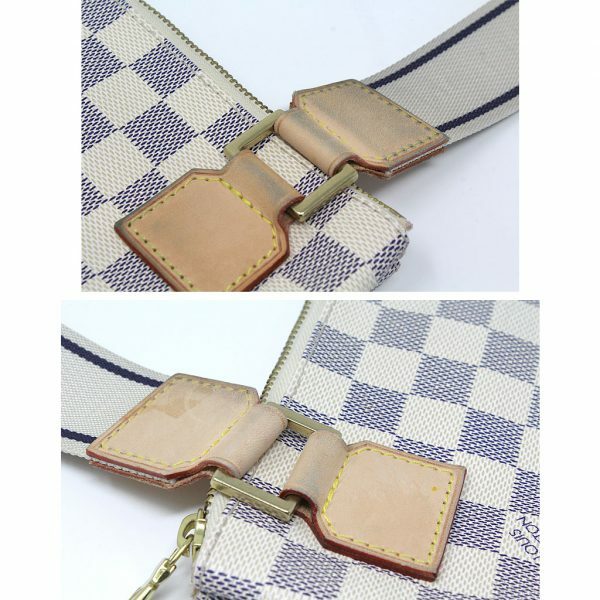 There are two areas on the canvas strap that show minor stains which you can see in the pictures. 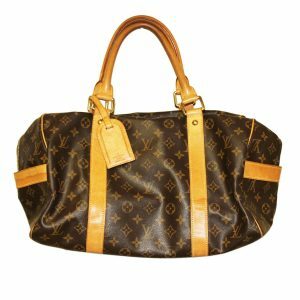 The cowhide leather and golden brass hinges that are attached to the bag shows visible discoloration and scratches from handling. 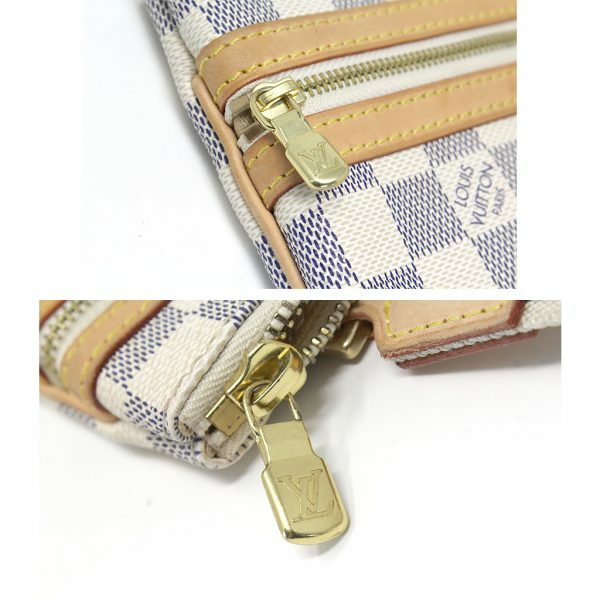 On the front of the messenger bag you have one large zipper compartment which opens with the golden brass zipper. The zipper works properly. 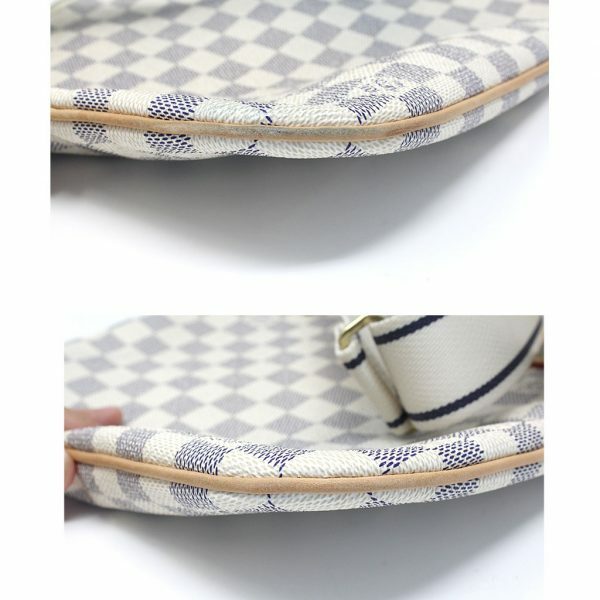 Inside the compartment is a beige canvas textile lining. 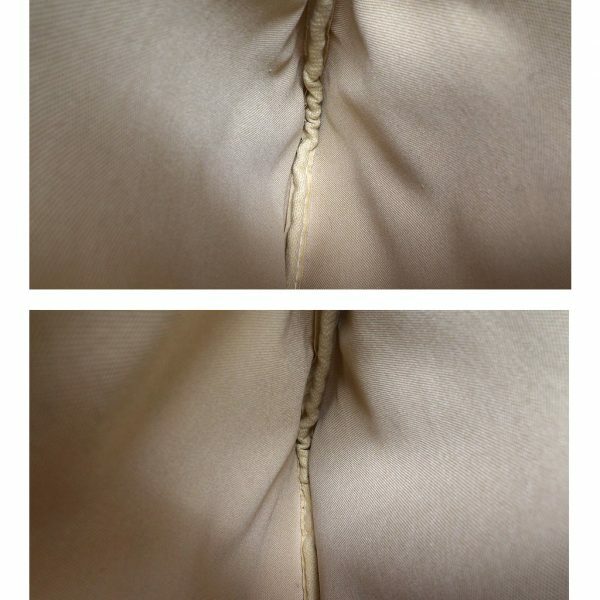 The lining is in excellent condition and has no visible stains and no foul odors. 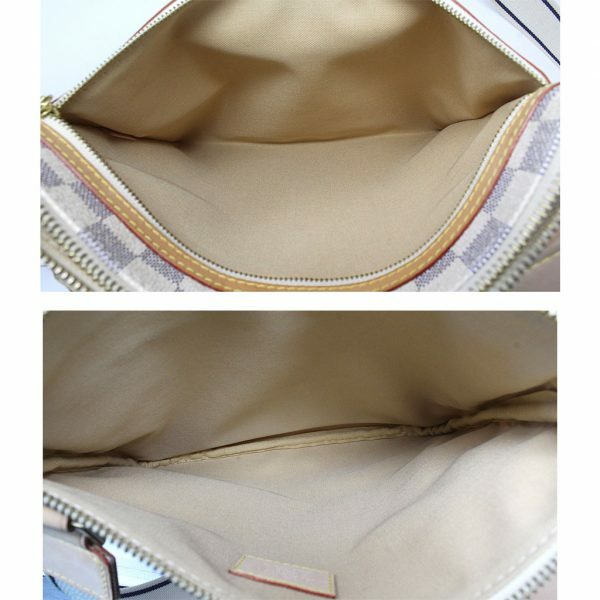 The main compartment also has the beige canvas textile lining. 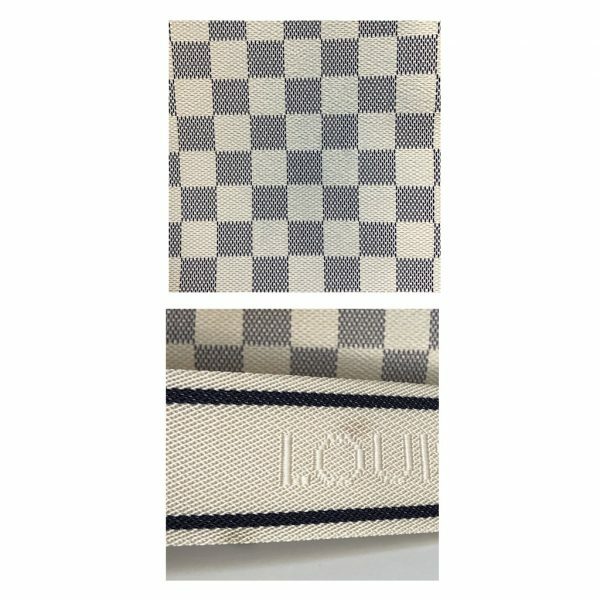 There is one tiny mark on to the left of the Louis Vuitton stamping, but no other make up stains, pen marks, or foul odors. This is the perfect size messenger bag for every day use! 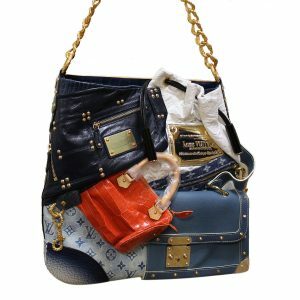 Don’t let this bag get away from you! Make us an offer we can’t refuse or buy it now!